Hudson was found as a stray in New Hampton, NY. Very timid when he first arrived, he has really come around and loves human attention. We believe that he may have been left outside and not been given much attention. 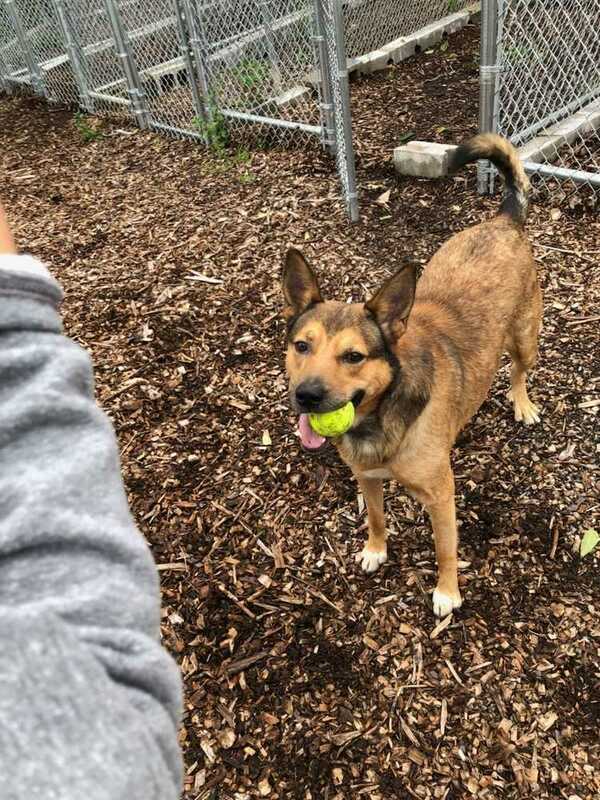 Once he was given attention at the shelter, he just lapped it up, and we found he loves to play catch and just loves human interaction. He was treated for Lyme when he came and a skin condition but is in great shape now. One of Hudsons favorite things is he loves to have his back scratched. Needs experienced owner.